Being scared of driving can lead some people to quit driving altogether. I have worked with many people who had a perfectly good car sitting in the driveway at home whilst their social, family, and work lives suffered as a consequence of them not driving. Take Fred for instance. Fred was a driving instructor, had been for twenty years, but stress in his life had spilled over into his driving. When he came along, he had reached the point where he was only taking his driving students onto quiet back roads; motorways were out and dual carriageways had recently become too scary for him, too. He despairingly told me how he suffered palpitations, profuse sweating, shaking, and nausea whenever he got into a car. "Mark, some of my students are starting to ask me when I'm going to take them onto 'proper roads'. The other day I even feigned illness to get out of seeing a student. This driving phobia or whatever it is will be the financial ruin of me if we don't sort it out." At first this new fear had been contained to when his students were driving, but lately he felt the fear even when he was driving alone. Fred went on to describe how he had never in his life been scared of driving; quite the contrary, he had always been, until a few months before, supremely confident. He told me how he felt anxious when overtaking or even going over 50mph. We got to work and some of what we did I share with you now as tips to help you if you too have become scared of driving. 1) How's your life outside your car? Maybe you've always been scared of driving or perhaps it used to be better but has more recently got a whole lot worse. What was going on in your life when this driving anxiety started? Wider life stresses can have an unfortunate domino effect, knocking over confidence in other areas. Fred got scared of driving during a time in which he was very worried about his wife's health and their teenage daughter's drug taking. He described a particularly bad patch during which he'd not slept for three whole nights (and there's no way he should have even thought about driving during this time). It turned out that his worries over his wife's health were unfounded and we looked at ways he could help his daughter move away from a reliance on drugs. This helped him relax and calm down and also feel more hopeful and empowered. 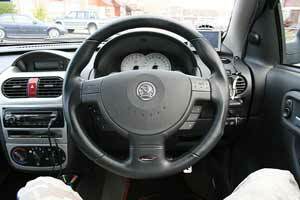 This in turn helped him feel naturally more relaxed behind the wheel because he felt generally more relaxed. Look at what may be stressing you out in your life and take steps to lessen general stress levels. You may well find that, happily, you feel more confident when driving. But we also need to deal with specific stress during driving. Becoming scared to drive can lead us to abandon driving altogether, but doing this can amplify the fear. When we avoid something, the message we send to the unconscious mind is: "This is so threatening that I am avoiding it." The unconscious mind, in turn, tries to be helpful by intensifying the fear. If you have access to a car, practice just sitting in it whilst it's stationary. Then practice just driving round the block or even just up and down your road. Each day make a point of driving just a little further. Many people find it's busy traffic or fast overtaking that makes them uneasy. Take time to gradually build up to driving in increasingly busy areas. Music has a profound and immediate effect on mood. Some music sets the pulse racing and some, like gentle classical music, has a relaxing effect (1). Find some music that you find particularly soothing and make a point of having it playing "in the background" as you drive. Pretty soon you'll find that you've calmed down so much that you won't need it any more. Some people are naturally reassuring and calming. Not that you want to become reliant on one person always being there every time you want to use the car. But during the transition phase from scared driver to a calm confident one, it can be a great help to just take someone out in the car with you, especially during your forays into busier traffic. After I'd done some hypnosis with Fred, I got him to drive with me onto a dual carriageway and eventually onto a busy motorway, during which time he remained calm. Then I got him to drop me off at one point and later pick me up after having driven in speedy traffic for half an hour. Again he remained calm throughout, only having to use 7-11 breathing once to manage his calmness levels. 7-11 breathing? Ah, let me explain. I taught Fred to switch off any anxiety simply by focussing on breathing out more slowly than he breathed in. You can do this to the (quick) mental count of 7 in and 11 out. But the numbers don't matter, just as long as the out-breath is longer than the in-breath. At first Fred felt that breathing in for 7 seconds was just too difficult, until I explained that it would be for most people. "If you're doing 7 in to 11 out, count fast. Or you can count 5 in and 7 out; it doesn't matter. What matters is that your body can't help but relax when you breathe out more slowly than you breathe in. Breathing in this way gets your parasympathetic nervous system (your relaxation response) responding very quickly." I taught Fred not just to breathe in this way when he was in his car, but also when he imagined being in his car. "That's interesting," he said, "because I'm sure just recently my breathing has got quicker when I've even thought about driving." I told him that feeling calm when imagining doing something is a fast-track way of teaching the mind to "tag" that activity as non-threatening, making it easier to relax in that situation for real. Practice 7-11 breathing and as you do so, imagine driving calmly and confidently. You'll soon experience the difference. Your mind is very powerful. If that wasn't true, then you wouldn't have developed a fear of driving at all. Fortunately, because our mind is powerful, we can use that power to make positive changes very quickly. Research has shown that we're more able to be motivated to do something if we've imagined viewing ourselves doing that activity from the outside (2). Take some quiet time to sit or lie down, close your eyes, and breathe out slowly a few times. Then begin to imagine viewing yourself on a TV screen: getting into your car looking calm and confident, driving in different conditions looking relaxed and in control. The more you do this, the more naturally confident you're going to feel. For a taste of this, you can listen to this free audio session by clicking below. If you'd like some extra help around Are You Scared of Driving? my company Uncommon Knowledge provides a huge library of hypnosis sessions through Hypnosis Downloads.com. I have helped create all the sessions there and have listed related downloads below. Please let me know in the comments section below how you get on. According to research reported at the American Society of Hypertension meeting in New Orleans, listening to just 30 minutes of classical, Celtic, or raga music every day may significantly reduce high blood pressure. By playing recordings of relaxing music every morning and evening, people with high anxiety and high blood pressure can train themselves to lower their blood pressure - and keep it lower - as well as feel calmer. See: Teng, XF, Wong, MY, Zhang, YT. Abstract. The effect of music on hypertensive patients. Conf Proc IEEE Eng Med Biol Soc. 2007;2007:4649-51. A 2004 Ohio State University study found that people were much more likely to vote in the 2004 presidential election after visualizing themselves voting from the perspective of an outside observer rather than imagining voting through their "own eyes". "Literally picturing yourself from an outside perspective can make a difference," said Lisa Libby, a social psychologist at Ohio State and the lead author of the study, published in Psychological Science. "It's just a simple thing, and it seems like that's all you'd have to do."